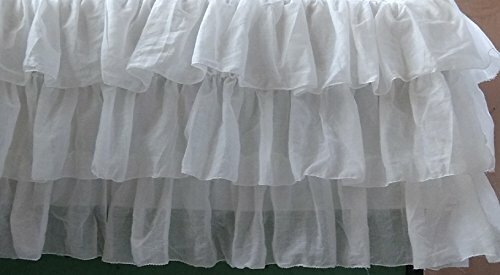 White Voile Layered Twin Daybed Size (39 X 75") Bed Skirt 16 Inch drop length 3 sided . Do you want matching pillow cover, duvet cover, curtain, valance? Do you want custom size bedding, write to me. I can do other colors as well if asked.